The race across America can best be described as a 3000 mile time trial, a race against fellow riders, the elements and sleep deprivation. This may sound similar to what most people's idea of a bike race is all about however in Race across america (or RAAM) there are no stages, no hotel or hot shower for the night, once the gun goes off in Oceanside on June 20th 2015, the clock will start ticking and it will not stop until we cross the finish line. The whole team therefore has to be self sufficient on the road which brings with it the added challenge of having to get a caravan of vehicles, support crew and riders across the country. "RAAM has a rich and storied history. In 1982 four individuals raced from the Santa Monica Pier in Los Angeles to the Empire State Building in New York City. Covered by national television, the race captivated the public’s imagination. Teams were added in 1992 and quickly became the most popular and fastest growing segment of the race. Relay team racing made the event accessible to any reasonably fit cyclist." This brief synopsis of this epic event only barely scratches the surface, the solo riders experience extreme sleep deprivation, some only sleeping an hour a night for the duration of the race, typically 8 or 9 days for the head of the field. They will drive themselves to the point of physical and mental breakdown, many experiencing strong hallucinations toward he end of the race. The team division is less demanding in some respects however it is typically ridden at a far greater intensity, as a relay, with one rider on the road and the other riders following close by in a 'follow' vehicle, leapfrogging up the road and performing a rider changeover sometimes as frequently as every 10 minutes. 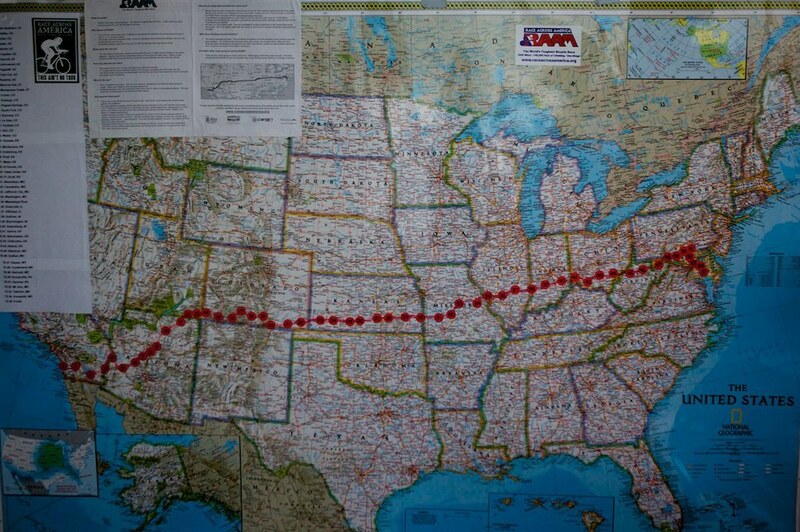 The climbing involved in RAAM is extensive and pretty heavily backloaded as, although you reach the races highest points in the first 1000 miles, the last 500 miles over the Ozark and Appalachian contain more climbing per mile travelled than any other point of the race.